‘There is no love more sincere than the love of Coffee’ is the Twobeans motto. This clever motto has certainly become applicable to the people of Ireland over the last two decades – While we were once a predominantly tea-drinking country, (or ‘Tay’ as we pronounce it in West Cork!) but since the people of Ireland started to acquired the taste for good coffee we have evolved into a nation of coffee lovers of the utmost sincerity! 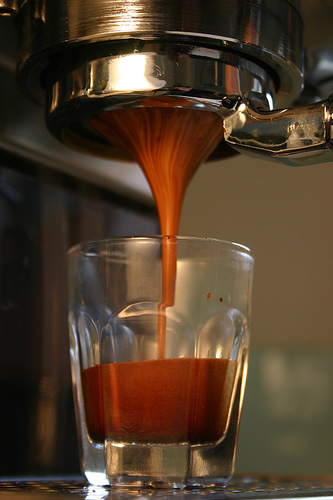 Our philosophy is that everything starts with a perfectly extracted espresso. Whether it is a cappuccino, latte, mocha or americano, the base of all these delectable beverages is a superb espresso. Extracting a perfect espresso is a masterful technique, and one we have proudly perfected. 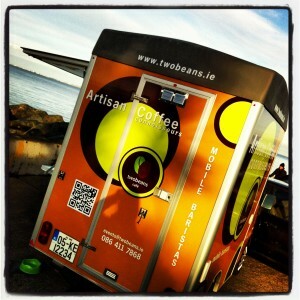 With locations in Salthill and Monkstown Dart station, as well as Scotsman Bay and Dun Laoghaire Horbour Plaza, Twobeans’ Mobile Baristas offers it’s customers consistently perfect espresso-based coffees. The mobile business also has a callout service to offices/business parks at prearranged times, as well as supplying artisan coffees and light catering for events such music festivals, sporting events, race-days, film productions, corporate & private events. 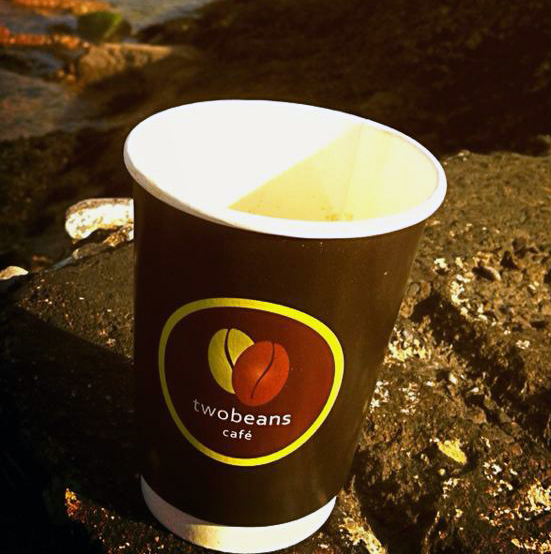 Twobeans uses Down2Earth’s 8oz and 12oz compostable hotcups, with a custom design to carry and market the business’ branding. They also use our compostable lids, which means their coffee is not only consistent, but also fully eco-conscious – something we love to see here in the Down2Earth office. Judging by this business’ endeavors, combined with their deep passion for consistently providing the perfect coffee, we are certain that Twobeans will achieve just this. If you have tried their coffee we’d love to hear about it, and if not, please go and support an Irish, eco-conscious company. They deserve our support – sincerely. For The Yummiest Loaves, Pastries & Pizzas – it has to be Firehouse! CORK’S CAFE GUSTO SWITCHES TO FULLY COMPOSTABLE COFFEE CUPS.